EUGENE, Ore. — An assistant professor at a Christian university in Oregon has filed suit after she says that she was fired for becoming pregnant out of wedlock. 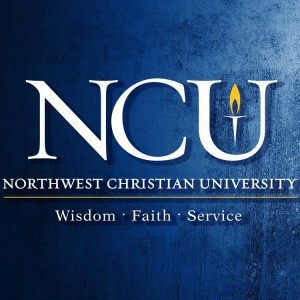 Cory Richardson is seeking $650,000 in damages from Northwest Christian University for what she believes in wrongful termination. Richards, 35, was fired last month, and is a single mother of two children from a previous relationship. She has been with her current boyfriend for twelve years. The Dean of Faculty, Dr. Dennis Lindsay allegedly told Richardson “that having a child out of wedlock while still continuing a relationship with the father was inconsistent with the university’s core values and mission and set a ‘bad example’ for the students,” the lawsuit reads. When she refused to comply and told officials that she desired “privacy in her personal life,” her employment was terminated. But Richardson believes that her termination is wrongful because she provided a “faith statement” upon her hiring four years ago as required by the university. “Richardson communicated with Dr. Lindsay several times to tell him that her decisions about her pregnancy and her relationship with her partner were personal matters that have nothing to do with her employment and exemplary performance at NCU,” the complaint outlines. She is now alleging discrimination, as she asserts that men at the university who had fathered children out of wedlock were not similarly terminated. Richardson is seeking $500,000 in emotional damages and $150,000 in economic damages. Applicants must provide a “personal statement that addresses how a maturing Christian faith finds expression in the candidate’s personal life, family life, community life [and] local church membership,” among other areas.